The innovative idea resulted in many problems for the chain. A noble idea that began in 2010 — a unique way to help raise awareness about insecurity in the U.S. — will soon cease operations. 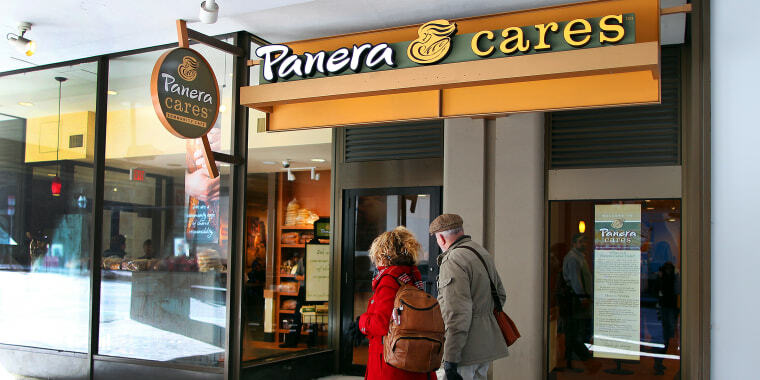 The last Panera Cares Community Cafe, which is located in the government center area of Boston, will close on Feb. 15. The Boston location was the last of five Panera Cares Community Cafe stores, a concept which started in 2010. According to a spokesperson for Panera, the continued operation of the store is no longer viable, adding, "The Panera Bread Foundation and our Boston team have been humbled by those community members who have embraced our mission to help fight food insecurity and supported the Boston Panera Cares community cafe. During its six years in operation, we served meals with dignity to everyone who walked through our doors." According to the Panera Cares website, the concept was designed to allow patrons to "pay what they can" for their meal. There are recommended donation amounts for each menu item (which are the regular retail values) but patrons were encouraged to pay what they were able, even if that was nothing. The store concept provided other guidelines, for example, suggesting that customers limit their orders to one entree and one drink per week for those who could not pay the full amount. They also offered the opportunity for people to volunteer at the store for one hour to cover the cost of a free meal in order to keep the idea viable. The stores also accepted donations to help cover costs and were registered nonprofits. But none of the guidelines, or extra donations, were enough to keep the concept from eventually failing. Yelp reviewers complained that the concept of one free meal a week became contentious. Incidents they reported included managers arguing with patrons about the last time they paid for a meal (or accepted a free one); security guards who "roamed the lobby area glaring at the customers" or being told not to "abuse the system" after bringing in others to enjoy free or discounted meals. Including Boston, Panera Cares operated four additional restaurants in Clayton, Missouri (the first location), Chicago, Portland, Oregon and Dearborn, Michigan. Other restaurants have tried similar concepts. SAME Cafe in Denver, for example, is still in business. The cafe says it is the first nonprofit restaurant in Denver where patrons set the price for their food. The restaurant's Facebook page reads: "If you can give more, please do. If you have a little less, pay what you can. If your pockets are empty, exchange an hour of volunteer work at SAME for one of the café’s mouth-watering meals." The Panera spokesperson told TODAY that the company is working with the employees who will be affected by the closure to find other jobs within Panera and its other bakery-cafe chain, Au Bon Pain.